It’s Free Audio Friday, holiday edition! 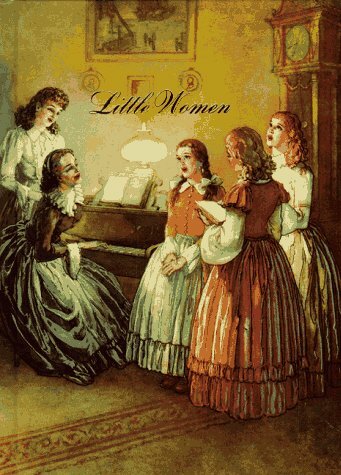 Today’s featured title is Louisa May Alcott’s classic novel Little Women, which you can download for free from LibriVox. Elizabeth narrates the book and reads the role of Jo March in this dramatic reading, which also features LibriVox favorites Arielle Lipshaw as Meg, Karen Savage as Amy, Kalynda as Beth, Kara Shallenberg as Marmee, Bruce Pirie as Mr. March, and mb as Laurie. The book opens at Christmas, making it a perfect listen for December. The image at left comes from Elizabeth’s favorite old edition of the novel. Happy listening!